The next EU Industry Days will take place in Brussels on 5-6 February 2019. EU Industry Days, organised by the European Commission and key stakeholders, is the flagship EU event on industrial policy. The conference will include various sessions organised by industrial stakeholders. The focus of one of the sessions, organised by CECIMO, will be on skills for industry 4.0. This session will take place on 6 February from 12:00 to 13:30. For further information and to register click on this link. The EU MachinE Tool Alliance for Skills (METALS) project comes to an end with the release of an online and freely-available course about the fundamentals of Additive Manufacturing (AM). The course includes a total of 27 learning units divided around three main areas – knowledge on AM, work-process and entrepreneurship – covering both technical and soft skills needs in Additive Manufacturing. The Project was coordinated by CECIMO, with participants from several other organisations in Germany, Italy and Spain. To read the full Press Release, click here. The 31st edition of the BI-MU exhibition will take place between 9 and 13 October in Milan, Italy. BI-MU is the most important Italian exhibition dedicated to the industries of manufacturing, metal-cutting and metal-forming machine tools, as well as robots, automation, digital manufacturing, auxiliary and enabling technologies. On 10 October, a METALS project event will be organised at the booth of AITA, the Italian Association for Additive Technologies. During this event, the project and its e-learning platform will be presented. The METALS project partners held their last meeting in Brussels on 18 September 2018. During the meeting, the partners agreed on the last modifications to the project deliverables – namely the METALS e-learning course on Additive Manufacturing, which will be freely available online in October 2018 in English, Italian, Spanish and German. The METALS project will be present at the BIEMH and ADDIT3D 2018 exhibitions. ADDIT3D, International Trade Show on Additive and 3D Manufacturing, will be integrated into the exhibition space of BIEMH, the Spanish Machine Tool Biennial, which will take place in Bilbao between 28 May and 1 June 2018. AFM, one of the METALS partners, is the co-organiser of both trade exhibitions and will have a booth with a dedicated corner about the METALS project, where information on the project and its progress will be shared with visitors. On Monday 9 and Tuesday 10 April 2018, METALS partners met in Milan to discuss progresses on the development of the METALS e-learning platform. The platform contains a course on additive manufacturing. Currently the partners are carrying out a pilot test of the platform with a limited number of VET students and adults in Italy, Spain and Germany. And they all agreed to have a stable version of the platform in English by mid May. The content of the platform will afterwards be translated into Spanish, Italian and German. 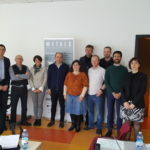 Partners of METALS project met in Milan to discuss an e-learning platform. The METALS project will be promoted at the special Youth Show, which will be organised at the METAV exhibition between 20 and 24 February 2018 in Düsseldorf, Germany. 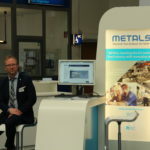 The Youth Education and Development Foundation (Nachwuchsstiftung Maschinenbau), a partner of the METALS project, will organise a booth including a special corner dedicated to METALS, where visitors could see the beta version of the e-learning course on Additive Manufacturing, which is being developed within the project. The MachinE Tool Alliance for Skills (METALS) project will be featured by CECIMO, Nachwuchsstiftung Maschinenbau and the Institute Technology and Education of the University of Bremen during EMO Hannover 2017. This EU-funded initiative has developed a skills panorama offering an overview of the current skills’ needs in the machine tool industry until 2025. METALS also created a curriculum for an introductory course on additive manufacturing (AM), and is currently developing e-learning materials in accordance to that. ‘AM is one of the most promising technologies that will affect the future of the machine tool sector, but finding a workforce with the right skills is a challenge for many machine tool builders. A competent workforce is a precondition if Europe wants to play a leading role in AM’ says Mr. Filip Geerts, CECIMO’s Director General. METALS aims at providing machine tool builders with the applied skills they need to benefit from new disruptive technologies in the machine tool sector. Following the analysis of the results from surveys, workshops and interviews, project partners concluded that AM is a key area for training due to the potential impact of this technology on the sector. The skills panorama developed within the project shows how the AM workforce will be characterised by a hybrid skills pool. Conventional competences in subtractive manufacturing will be coupled with new skills specific to the manufacturing process with additive machines. These new competences will be concentrated in stages such as design, STL (Stereolithography) conversion and file manipulation, post-processing, testing and maintenance. Moreover, greater soft skills in communication and presentation will be part of this skills-set. The project partners developed a curriculum describing learning units and formal learning outcomes aligned with EU guidelines. These units in the curriculum are the building blocks of an online AM learning course now under development. The course will be available through the METALS e-learning platform in 2018. METALS will be promoted during EMO Hannover 2017. EMO is the leading international trade fair for the metalworking machine tool industry. The fairground visitors will be able to find information on the available project results and get first-hand experience with one of the test METALS learning units in Hall 24 at the booth of Nachwuchsstiftung Maschinenbau. Information on METALS will also be available at the CECIMO booth (A 41) in Hall 27 on Additive Manufacturing. Based on the findings of the METALS project, CECIMO produced a panorama which focuses on skills for additive manufacturing technologies. The document shows how the AM workforce will need a hybrid skills pool made of typical skills in subtractive manufacturing, new emerging skills specific to additive machines, as well as soft skills in communication and presentation over the next decade. Additive manufacturing (AM) is getting increasing attention in the European machine tool industry. The EU METALS project led by CECIMO aims at equipping workers in the sector with the needed competences to unleash the full potential of this technology in the near future. So, METALS identified how the adoption of additive techniques will impact on the type of skills demanded by employers. The findings will lead to the completion of an AM curriculum, from which e-learning materials for AM skills are being developed. The METALS European machine tool skills panorama represents the first milestone in the project. It shows how the AM workforce will need a hybrid skills pool, where traditional skills in subtractive manufacturing are coupled with new competences specific to the additive space. Collecting inputs from a large group of AM experts, the panorama offers a stage-by-stage overview of competences, and it illustrates how the stage of design, in which this technology offers much to gain, will surge effectively in importance. Skills in areas such as computational thermal fluid dynamics and structural calculus will be fundamental for the virtual dimension of design development. Specialized designers will become prominent in unlocking the potential of AM. Another crucial stage for fabrication with additive techniques is STL file preparation and manipulation, where the digital dimension of AM becomes clear. To this extent, experts pointed out the relevance of job profiles in application engineering, who will be responsible in the manipulation of the STL file to be sent to the AM machine. They will also be critical in supervising all remaining production stages and guaranteeing quality in the whole AM process. The AM application engineer will be the new real job profile generated by this technology. Particularly in the metal segment of the market, the use of powder will add safety standards on the workplace. New vocational skills will be needed to ensure all necessary health and safety rules are followed. Operators and technicians will need to be aware of the safety linked to additive machines to perform tasks such as loading and unloading build platforms, removing and recycling redundant metal powder around the part created as well as replacing filters used in production. Add-on skills aligned with high safety standards in the workplace will affect all stages, from operation to post-processing and maintenance. Finally, with increasing competition in the market for AM machine manufacturing, companies will sharpen their marketing strategies and personnel shall have solid communication skills to liaise with potential customers. On 21 September 2017 during EMO Hannover, CECIMO will organize the “International Conference on Additive Manufacturing”. The conference aims to capture some of the most interesting advancements in this fast-evolving landscape. Industry leaders, high-level researchers and policy-makers will illustrate and discuss some of the latest solutions to accelerate AM deployment in the factory. The final panel debate with AM experts will address more in detail challenges and opportunities for scaling up industrial additive technologies. Visit our event page to see the draft programme and register to the event. The conference will be promoted by the EU KRAKEN project, a forward-looking initiative focusing on the development of a hybrid, automated multi-material machine.